Must I obtain an IRS or State license or approval to start a tax preparation business? In addition to an Electronic Filing Identification Number (EFIN) tax preparers need a Preparer Tax Identification Number (PTIN). 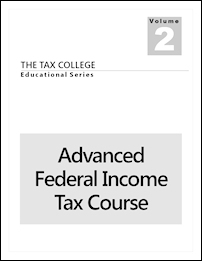 Tax preparers are not required to complete competency testing or to take Continuing Education. There is currently no nationwide regulation of tax preparers. On January 1, 2012 the IRS implemented a nationwide program for the regulation of tax preparers - the Registered Tax Return Preparer Program. 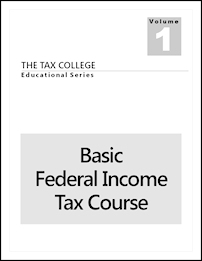 The requirements included registering with the IRS, a competency exam and annual Continuing Education. 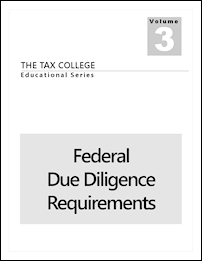 Subsequently, the United States District Court for the District of Columbia enjoined the IRS from enforcing the requirements of the RTRP program. The IRS appealed. Subsequently, in its February 2014 decision, the U.S. Court of Appeals for the District of Columbia Circuit found that the IRS had "insufficient statutory support for the IRS' regulation of federal tax return preparers." 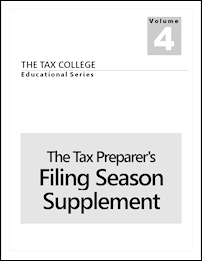 When applying for or renewing a PTIN, supervised tax preparers must provide the PTIN of their supervisor. The supervisor's PTIN must be a valid and active PTIN. Who is a non-Form 1040 series Tax Preparer? Non-Form 1040 series tax preparers are individuals who do not prepare, or assist in the preparation of, any Form 1040 series tax return or claim for refund, except a Form 1040-PR or Form 1040-SS, for compensation. When applying for or renewing a PTIN, non-Form 1040 series tax preparers must certify that they do not prepare, or assist in the preparation of, any Form 1040 series tax return or claim for refund, except a Form 1040-PR or Form 1040-SS, for compensation. Individual states set their own requirements for the licensure and registration of tax preparers. Some states require only that tax preparers have a valid PTIN, while others require education and testing. California, Maryland, New York, and Oregon require licensing of paid tax preparers. In 46 states and the District of Columbia, paid tax preparers are not required to have a state issued license. Preparers who are CPAs, attorneys, or Enrolled Agents may be exempt from some or all state tax preparer registration requirements. Below are links to the web sites of the four states mentioned above. FREE SPECIAL REPORT - How To Start A Tax Preparation Business! Congratulations on considering starting a tax preparation business and pursuing a career in tax preparation! Click the button below to receive our Free Special Report, How To Start A Tax Preparation Business, which covers issues that are not addressed in this web site. Start A Tax Preparation Business is a Division of WorldWideWeb Tax, Inc., an IRS Approved Continuing Education Provider.